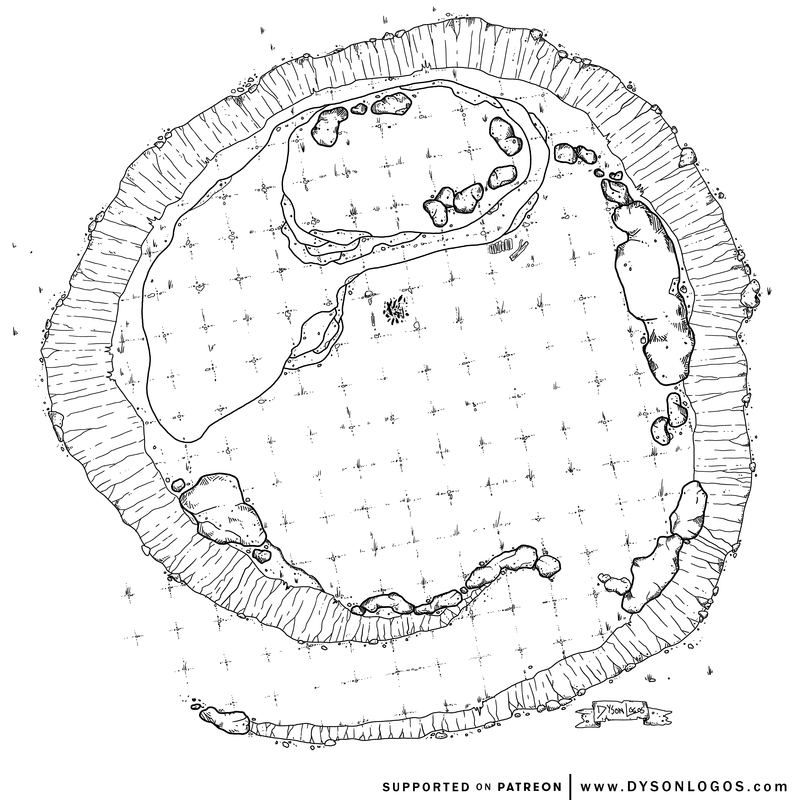 A simple map today – I was experimenting with grid design and and layers of elevation, and more fiddling with steep cliff-like elevation changes, and this circular stony hill was the result. 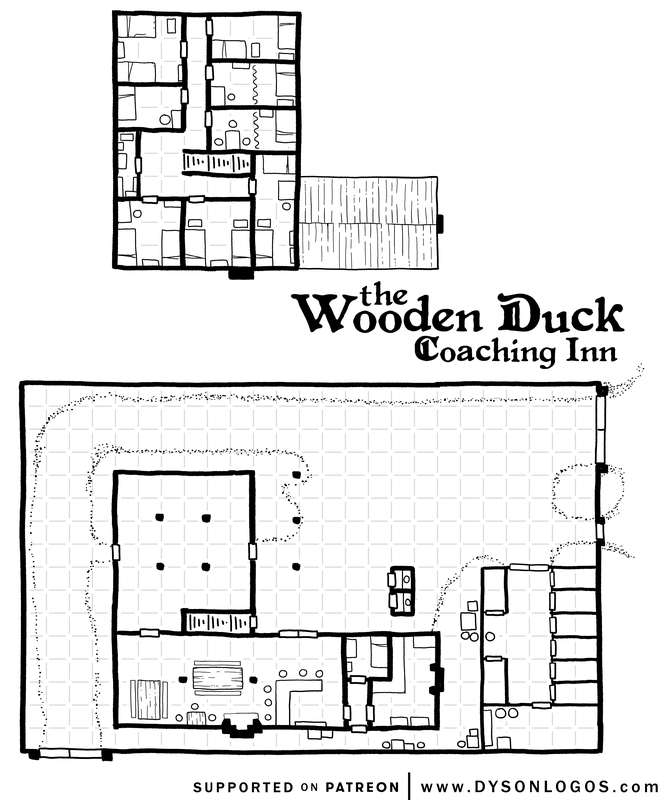 It should work well for a obvious place to set up camp when travelling, or more likely, where travelling PCs discover that others have already set up camp along the route. There’s a spot where a small campfire has been kept on a few occasions, in the lee of the taller portion of the hill, and the rocks have been set up at the slope up to the main hilltop to help make it more defensible. 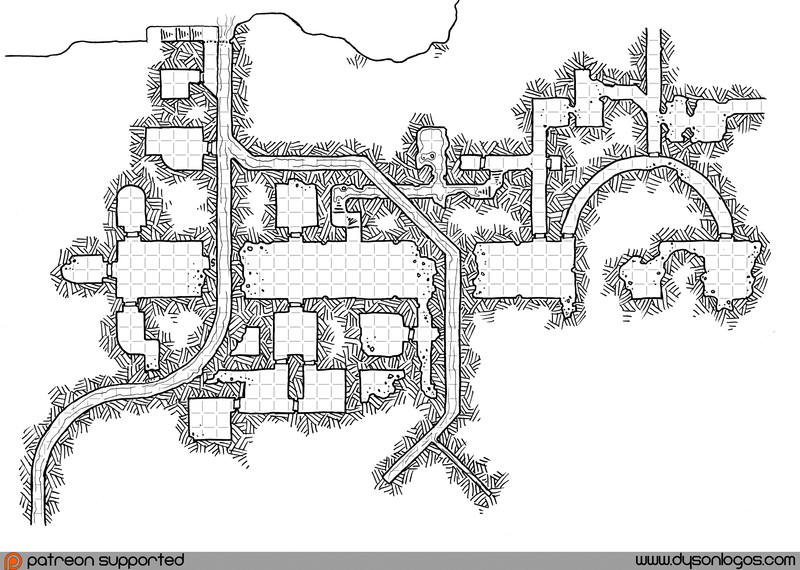 It is time, once again, to delve into the back catalog of maps here on the Dodecahedron and pull out two more to be re-released under the free commercial use license thanks to the amazing support of our Patreon backers. 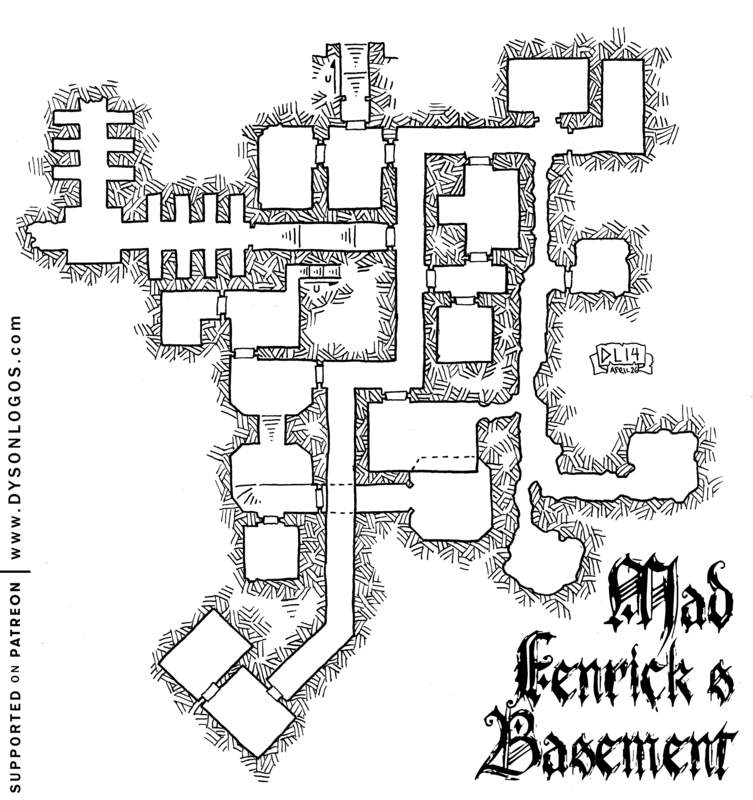 Mad Fenrick’s Manor and Basement were released in April and May of 2014 and are back! A few miles from the nearest outposts of civilization, just over those hills to the west of here, are the old estates of the Trent family. Sitting almost smugly on a hill in the midst of overgrown hedge mazes and fallow fields is the manor of “Mad” Fenrick Trent. Sure the first parts of the structure were initially built by his grandfather, and the last Trents to live in it were his great-grandchildren, but Mad Fenrick is the Trent who put the most work into the half-fortified squat monstrosity. Of course, a massive cobbled together and defensively structured manor like Mad Fenrick’s Manor doesn’t stop with just the main level and a few towers. 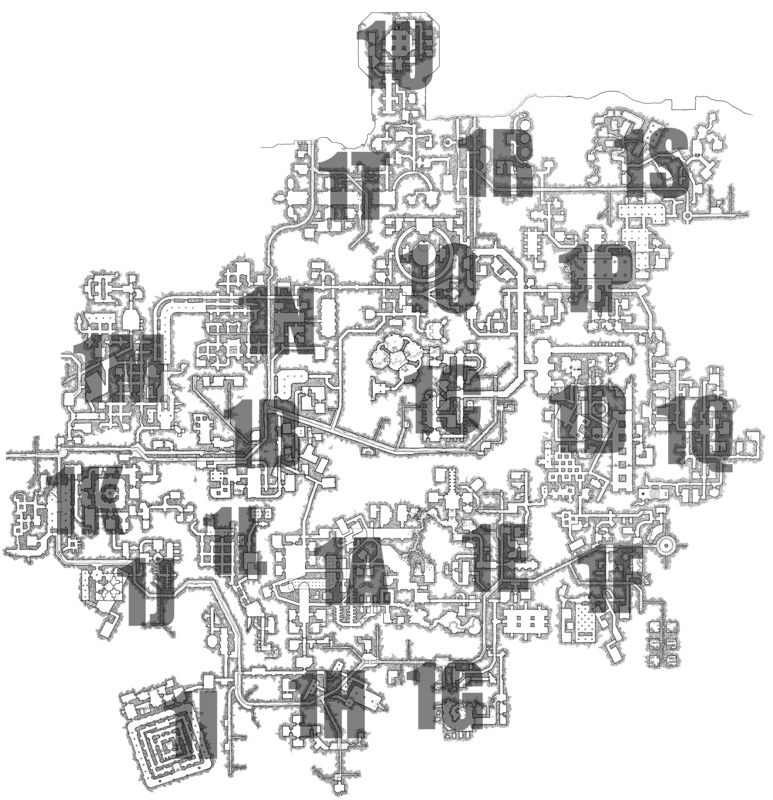 In the main courtyard of the manor is a set of stairs that originally lead to the Trent family crypt, but that now connects to a small dungeon (as well as Mad Fenrick’s Root Cellar, Mad Fenrick’s Family Crypt, Mad Fenrick’s U-Store-It, and Mad Fenrick’s Large Rodent Repository, of course). It would, of course, be absolute foolishness to claim that these maps weren’t in turn inspired by the classic Tegel Manor adventure which I first encountered as a player and that has haunted my games ever since. Summer rapidly approaches, and the Kraken seeks new lands. 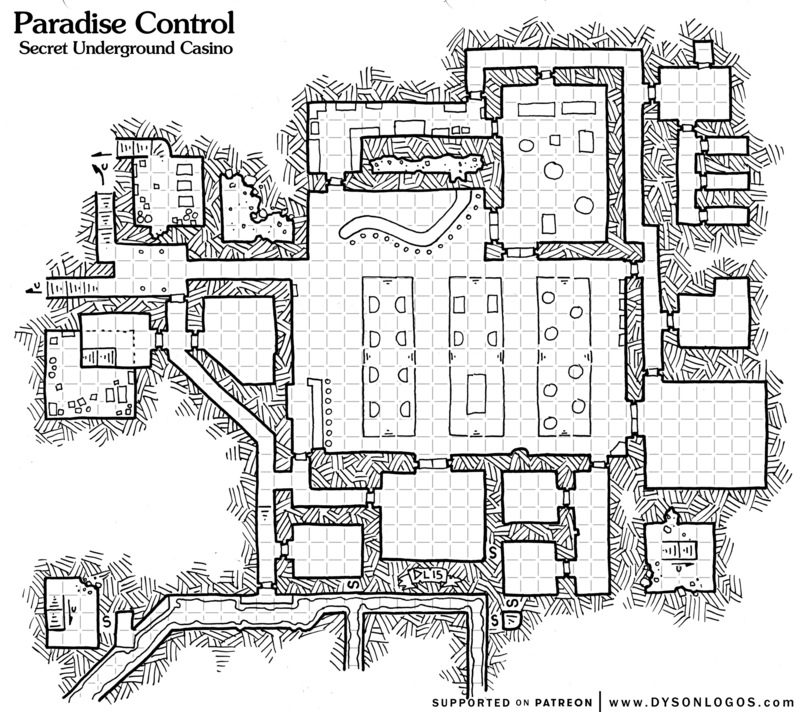 Today we are re-releasing this map drawn in late 2015 under the commercial use license – so welcome to Keegan’s Temple Compound. Temples and churches are a fairly common sight in a city, but few maintain a standing military force without having a massive structure or complex to house them in. In the case of Keegan’s Temple, the finances were not available to build a massive church / temple / armoury complex. 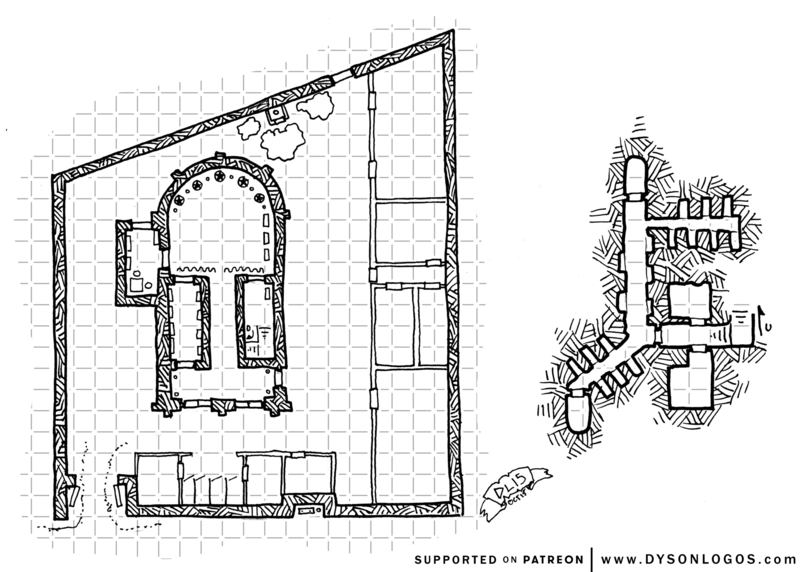 Instead a smaller temple was built in a walled compound donated to the church. The compound has a main gate and a smaller postern gate for servants and deliveries. Wooden structures along the walls serve as stables, kitchens and barracks. 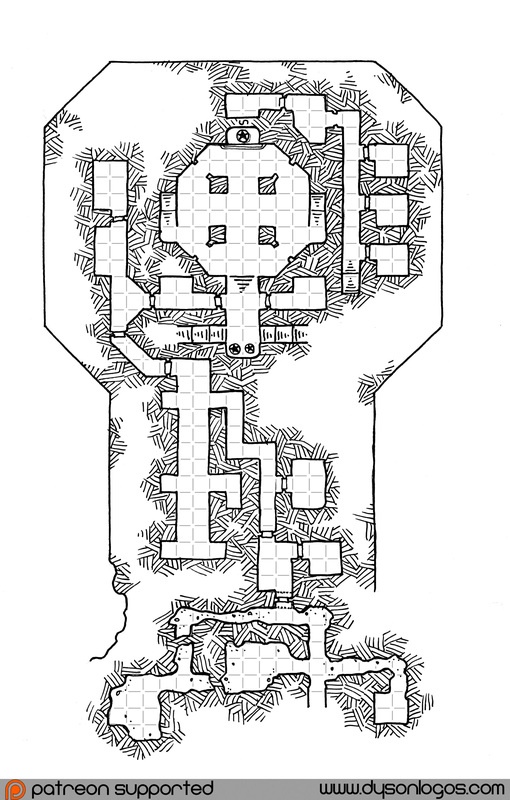 The temple itself is often busy and also fairly exclusive to the order of lawful warrior-priests who reside and base there, so a smaller shrine has been built into the south wall for those who wish to give thanks to or petition the god of this temple without entering into the compound proper. 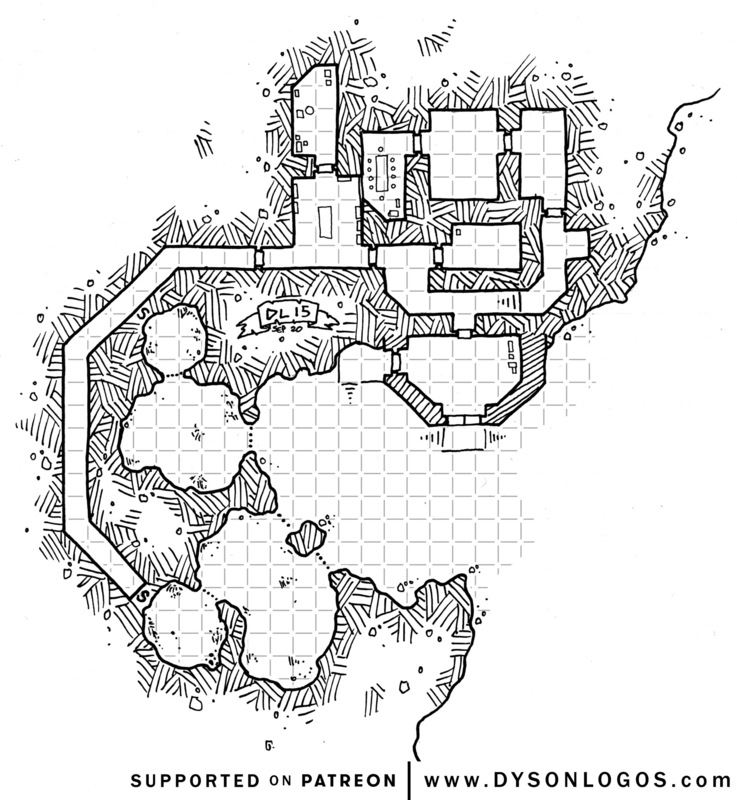 Beneath the temple itself is a small reliquary and crypt where fallen soldiers and aged priests have been interred and commemorated. The main worship level of complex is dedicated to the history of the Empire and the Imperial Dynasties – with statues of the six emperors of the Tauneskalis family along the Green Hall on the north side. 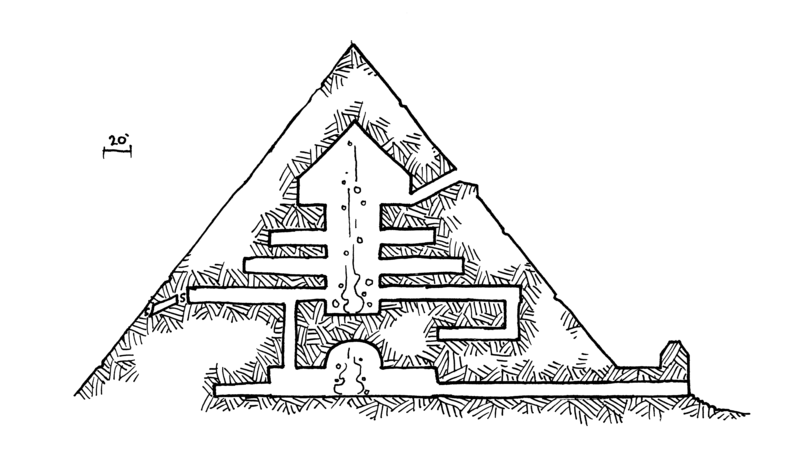 Access to this level is either by the secret staircase behind the statue of Tauneskalis III himself, or via the not-very-secret passage that exits on the west face of the pyramid. The path up the west face has been well worn by the many people that have climbed up and down this way since the pyramid was built. 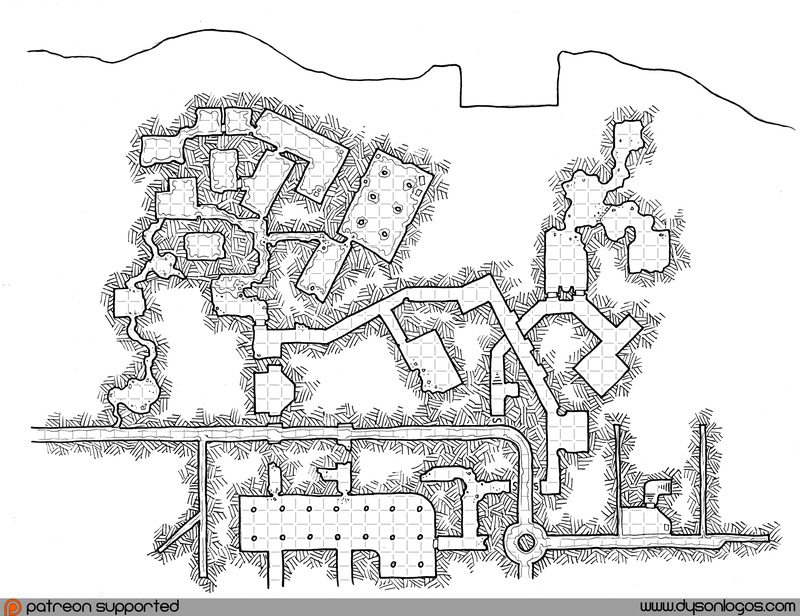 The upper levels contain archives of the empire – stored in the crypts, tombs and niches constructed on these levels that have never held a body. At the very top level, a sloped chamber leads up to a balcony that faces east that is still used to this day to make imperial proclamations in the early mornings a few times a year. They tell you that there aren’t sharks in a swamp. That the water is too shallow, too brackish. They forget that not all sharks swim.